Hannah Sims, a graduate student in the Master of Science in Social Work program, created a video series to inspire viewers to become foster parents. Wendy Jones was scrolling through Facebook when she saw a familiar face on a video about the blessings of being foster parents. The familiar face was that of Jamie Bearden, associate director of admissions and student services for the Office of Graduate Programs at ACU, where Jones is chief human resources officer. She was so excited, she immediately emailed Jamie. It is the hope of Jamie and the person behind the video, ACU graduate student Hannah Sims, that others who see it will be equally impressed and look into fostering a child themselves. Sims, who is on track to earn a master’s degree in social work in May, came up with the idea and shot and edited the video on campus. The project was part of the practicum she is serving with the Texas Council of Child Welfare Boards Re-branding Committee. The video was created for the committee’s Fostering Brighter Futures campaign, an attempt to put a positive and accurate face on the fostering experience, as opposed to what is sometimes seen on TV and social media. Jamie certainly achieved that goal in the video, as she explained why she and her husband, Zack, decided to foster a child. Ray is the little boy who is filling the space in their home and in their hearts. He was 5 when he came to live with the Bearden family in 2014 as a foster child. They adopted him when he reached age 7. He is now 8 and a perfect fit in the Bearden household, with Zack, Jamie, and two biological sons who are 10 and 12. Hannah came up with the idea for the video to help fulfill the requirement for 500 hours of field education in order to earn a master’s degree in social work. 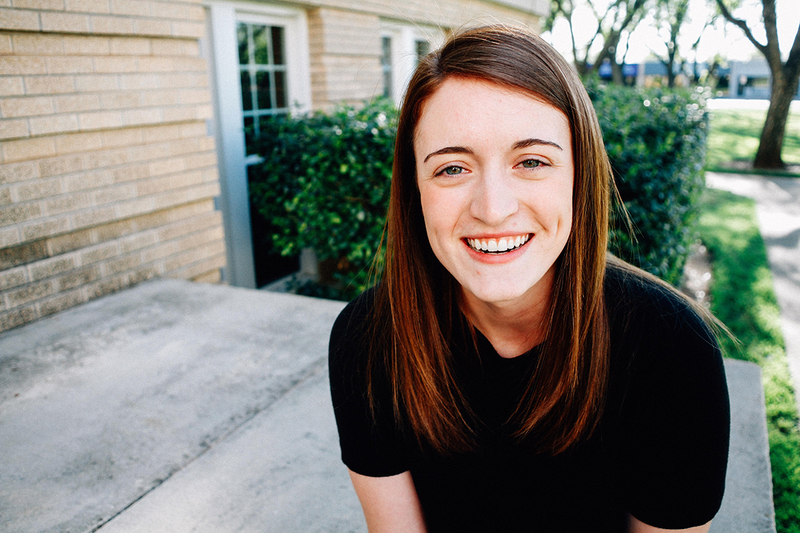 That is no problem for students in ACU’s master’s of social work program, thanks to Rachel Slaymaker, who directs ACU’s field education program in the social work department and also is a member of the Texas Field Educator Consortium. At ACU, Slaymaker partners with 30 to 40 local agencies to place social work practicum students. “We really try to work directly with students,” Slaymaker said, “to find what their interests are” in order to find a good match for placement. Something unique to the ACU Master of Science in Social Work program is the large number of paid placements offered by agencies. ACU ranks among the highest in the state, Slaymaker said, for paid placements. “I really think that speaks to the rigor of our program and the reputation of our program,” she said. Hannah can attest to that. She praised the social work program for being innovative and for offering students so many opportunities. The goal of the Fostering Brighter Futures campaign is to feature people like the Beardens who opened their home and their hearts to a child in need. The night they got him was quite memorable. The Beardens got a call from the placement agency at 11 p.m. and 30 minutes later, three carloads of caseworkers, and Ray, showed up. “He just marched right past us like he owned the place,” Jamie said, and they were hooked. Now, the Beardens are one big happy family. And, they hope that by sharing their story on the video, others who see it will make the same decision they did. “It’s a leap of faith,” Jamie says on the video, but one that she and her family are glad they took.